Eroding bed and banks, disconnected from its floodplain and lacks habitat. Connected to its floodplain with healthy riparian vegetation. Restoration of this reach of the Upper Truckee River is critical for improvement of riparian habitat and water quality. The proposed Project achieves a balance to restore function to the river while still providing recreation—consistent with State Parks Mission. "I look forward to being able to start work on this critical project. 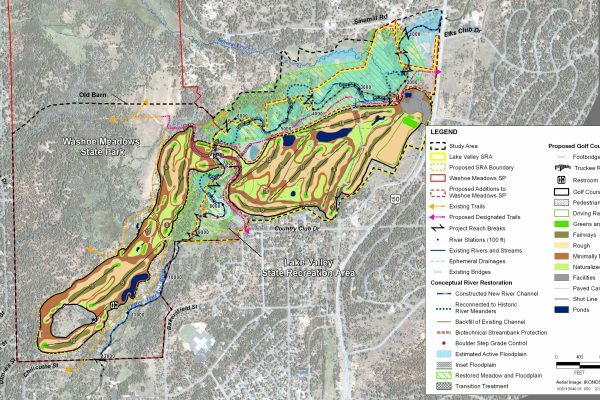 This is a watershed scale effort to improve the river and reduce impacts to Lake Tahoe and the relocation of the golf course and restoration of this reach is a key piece." “This is a critical project for the environment while still balancing and improving opportunities for recreation access." "This project is all about the river. I have spent my entire career doing stream and watershed restoration projects, and this one is the most critical." "As a scientist, I’ve been studying the Upper Truckee River with many agency partners since 1995 and I can attest to the absolute critical need to restore this river in order to protect Lake Tahoe’s clarity." 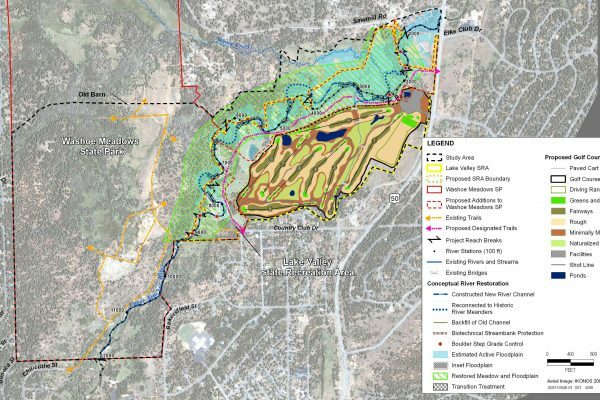 "The proposed project restores over a mile long reach of the river and its floodplain, moving golf course holes away to make room for a meandering river and adjacent riparian habitat." 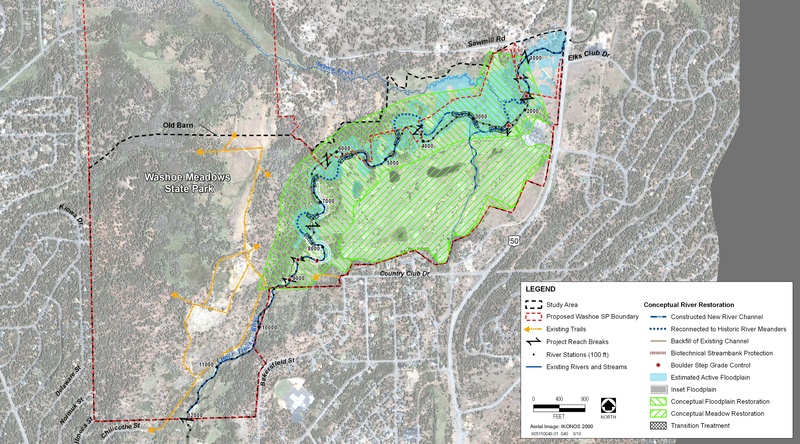 The proposed Project will restore natural conditions to the river including reconnection to the floodplain, improvement of riparian and meadow habitat, and reduction of sediment to Lake Tahoe. It will also provide new trails and increase access to the river, including a new trail from Highway 50 along the river into Washoe Meadows State Park. 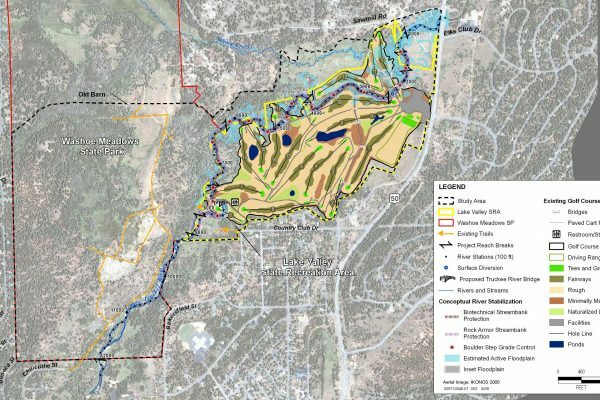 The 18-hole Audubon-award winning golf course (a significant economic driver for South Lake Tahoe) will be retained, but the turf area will be decreased by 15%. 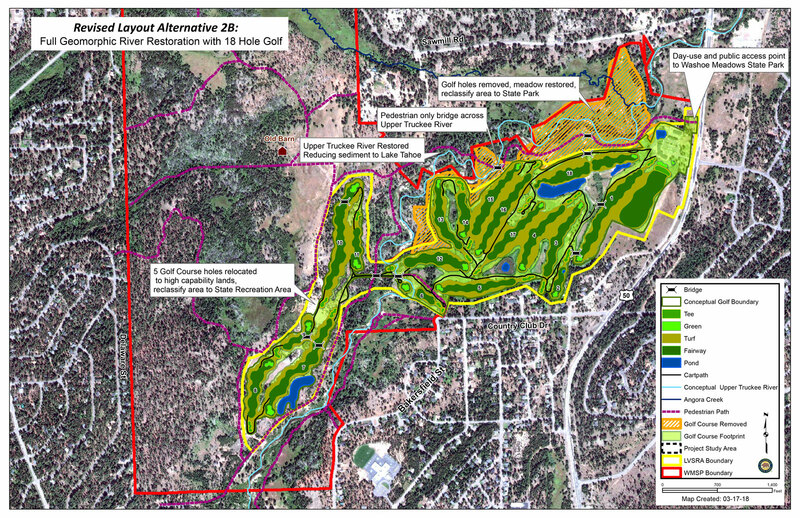 ALT 2B will accomplish this by relocating five golf course holes (a decrease from nine holes in the previous plan) to a less sensitive area of previously disturbed lands, which is away from the river. The active floodplain will be restored as well as a 1.5 mile reach of the river with its associated habitat, bringing it all to a geomorphically stable system. The Upper Truckee River Restoration and Golf Course Reconfiguration Project will restore the natural geomorphic and ecological processes to this section of the river. 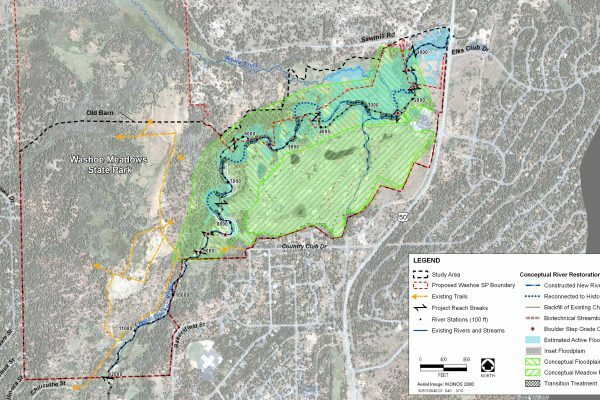 The river will be restored to a meandering pattern, reducing erosion and sediment to Lake Tahoe and restoring connectivity to its floodplain, improving riparian vegetation and wildlife corridors. 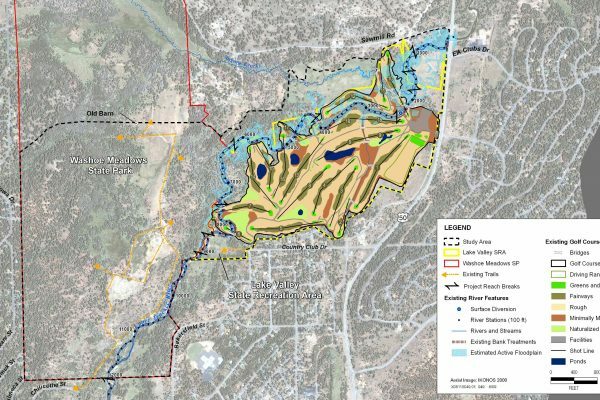 The proposed Project (Alternative 2B) will ensure that South Lake Tahoe keeps an 18-hole championship golf course with water conservation efficiencies via an updated irrigation, a reduction in turf of 15% the relocation of five golf course holes away from the rivers’ edge and out of the floodplain to less sensitive land west of the river. 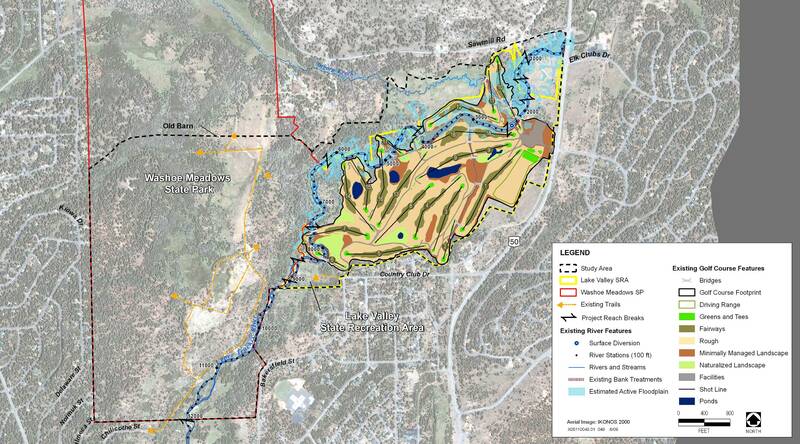 Areas where golf is removed from the floodplain would be restored to meadow habitat, five under-sized bridges would be removed, and recreation access would increase to the Upper Truckee River and to Washoe Meadows State Park, which would be expanded by two acres. Currently access is limited and accessible only to a nearby neighborhood but the proposed ALT 2B Project would open access for more people to enjoy. 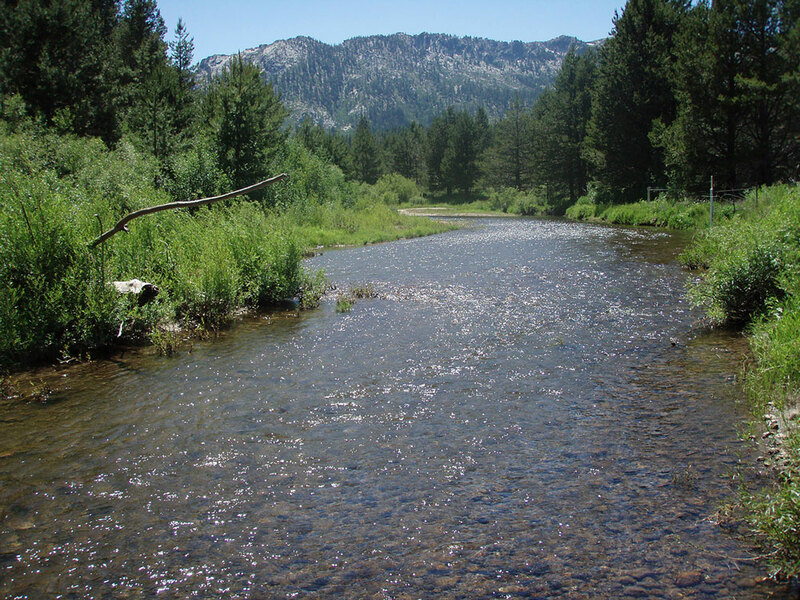 This proposed Project is part of a broader collaborative effort to restore multiple reaches of the Upper Truckee River and improve Lake Tahoe water clarity. It will improve recreational opportunities, trail connectivity, community economic vitality and the environment. Over the past century, the Upper Truckee River has been impacted by logging, gravel mining, grazing channel straightening, and the subsequent development of the golf course directly on the floodplain. These disturbances have led to erosion, increases of sediment and nutrient loads to Lake Tahoe, and decreased riparian habitat. Due to these types of disturbances, Lake Tahoe has lost 30 feet of clarity since the 1960’s. For more information, visit History & Background. 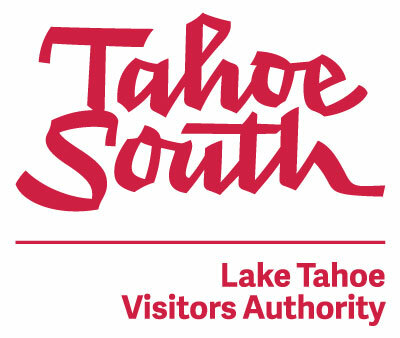 The proposed Project is located in Lake Valley State Recreation Area (including the Lake Tahoe Golf Course) and the south-eastern portion of Washoe Meadows State Park, along the Upper Truckee River. Restores a 1.5 mile section of the Upper Truckee River to directly reduce clarity-reducing sediment flowing into Lake Tahoe and stop erosion due to artificial straightening. Restores more than 31 acres of meadow floodplain and the stream environment zone. Improves riparian habitat and provides more continuous riverine corridor. Reconnects the river to its floodplain, restoring water table and vegetation. Expands Washoe Meadows State Park by two-acres. Reduces turf on golf course by 15%. Moves five golf course holes (a decrease from nine holes in the previous plan) further away from the river, creating a buffer to help protect the natural environment. 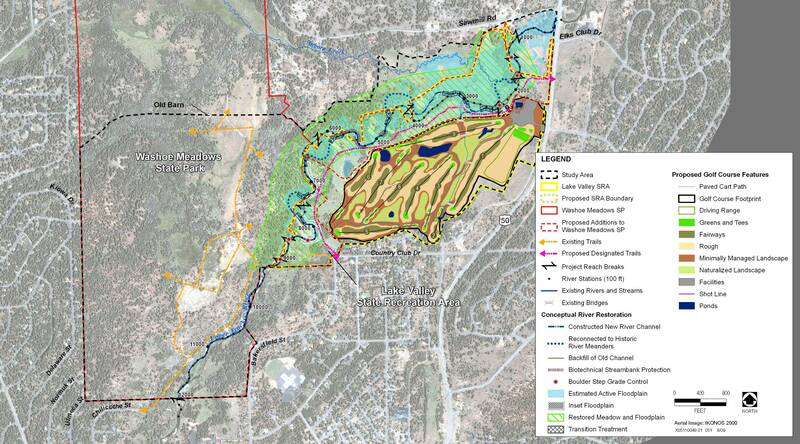 Reduces golf course within 50 feet of the river from over 6,300 feet to less than 1500 feet. 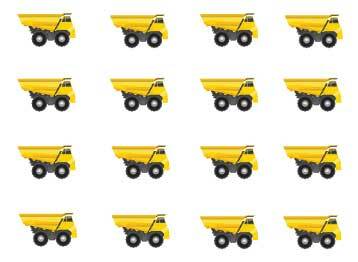 Removes five erosion-causing fire-prone undersized bridges and replaces with two longer bridges. Provides a 400 ft. buffer from the fen and continues the protection of the fen and wetlands which are all outside the Project area (source: California Native Plant Society). Improves and promotes access for more people to be able to enjoy the Park versus the current neighborhood only access. Expands Washoe Meadows State Parks by two-acres. Improves and keeps the 18-hole championship golf course delivering significant economic benefits to the community with an updated layout and water-saving irrigation (it is anticipated that parts, if not all, of the Golf Course will remain open during the various phases of construction). Keeps affordable golf recreation to the local community and visitors. Opens up a mile of river access to recreation access for fishing, swimming and bird watching (currently closed to recreation because it’s in the middle of golf play). Creates new recreation access near the clubhouse, including trailhead and picnic tables. Delivers a more safe recreational experience (away from golf activity). Constructs a new ADA accessible trail paralleling the south-east side of river, connecting from Highway 50 to a new bridge. This will connect to trails on the west side of the river and provide greater regional connectivity to increase visitor access to Washoe Meadows State Park (which currently does not have any developed access or parking). Delivers a new bridge to serve mixed recreation (the new ADA trail that connects Sawmill Bike Trail to trails in Washoe Meadows State Park). Gives potential for the Clubhouse to become more of a visitor center—a gateway to the Tahoe Basin- and provide more interpretation. 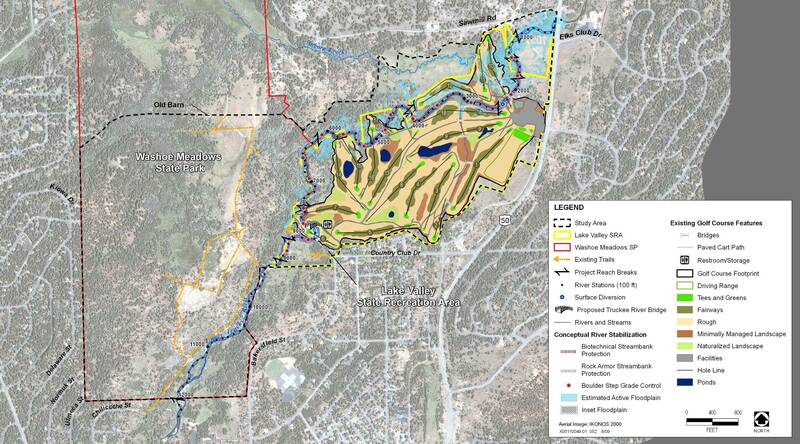 Ensures a sustainable key revenue generator for the South Lake Tahoe community and California State Parks: the 18-hole regulation golf course is a substantial producer of strong economic benefits. Keeps tourism dollars related to the golf course in South Lake Tahoe. 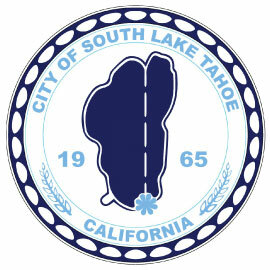 Generates employment in South Lake Tahoe via both Lake Tahoe Golf Course and golf related tourism jobs. Generates revenue to keep other CA State Parks open on an annual basis. Boosts the local economy directly and incrementally: approximately 2/3 of golf rounds are played by visitors from out of town. These visitors also spend money on lodging, meals, and additional related tourism that supports the local economy. Compare Alternative 2B with the other alternatives considered for the Upper Truckee River Restoration Project. 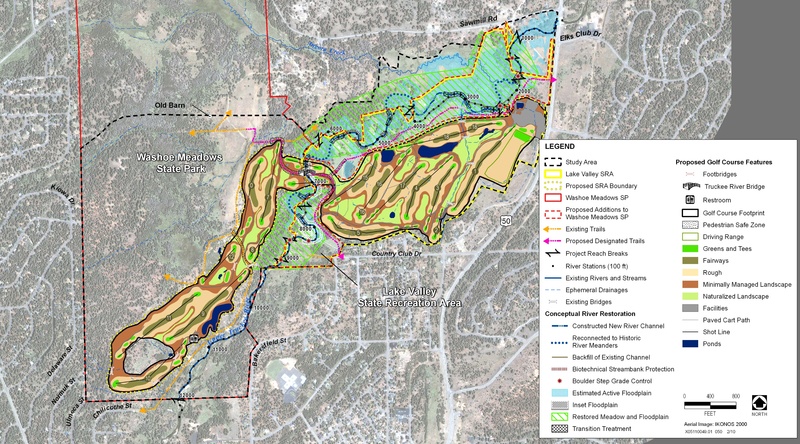 Please see the map showing the proposed Project ALT 2B (map shown above), which would reconfigure the golf course to allow for river restoration, enhanced recreation access and economic vitality. Five holes would be relocated to keep the 18-hole golf course. Compare this map with other proposed alternatives to the Upper Truckee River Project (see below). © 2019 Restore the Upper Truckee River.